Manu Rasmussen, left, and Mitch Fettig, right. It was good to catch up with two of the northwest’s top dual threat athletes at Elite a few weeks back, in Manu Rasmussen (6-0 175 Jr. RB/DB) of Tigard and Mitch Fettig (6-0 175 Jr. Slot/CB) of Olympia. Both kids are considered conference player of the year candidates in 2013, and each has individually upped their stock immensely over the off season. 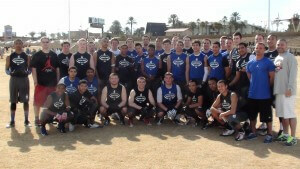 Team NEI North and South in Las Vegas. Rasmussen was a 2nd team all league DB for the Tigers who went undefeated within their conference, before finishing 11-2 and losing in the state semi’s to Lake Oswego. Manu will be the featured back on a team that loses 3 senior runners in (Floyd, Greene, Wick). He has torched opponents growing up running for countless Td’s, and next year he looks to do more of the same. Fettig has blown up over the last few months, after a solid junior season that saw him earn 1st team all league honors at DB with 5 Int’s. Fettig traveled with us to Vegas as part of NEI-South and went on lock down mode, as he was one of 4 all tournament players mentioned. Mitch led a defense that allowed 3 Tds in 5 games, which we think ranked 1st in the tournament among 50+ teams. He’s equally talented offensively and can do damage out of the slot or receiver position. Fettig showed that he was an elite DB on a national stage in Vegas. He will be an athlete that you will see ranked towards the top of our 2014 WA Defensive DB rankings when released within the week. 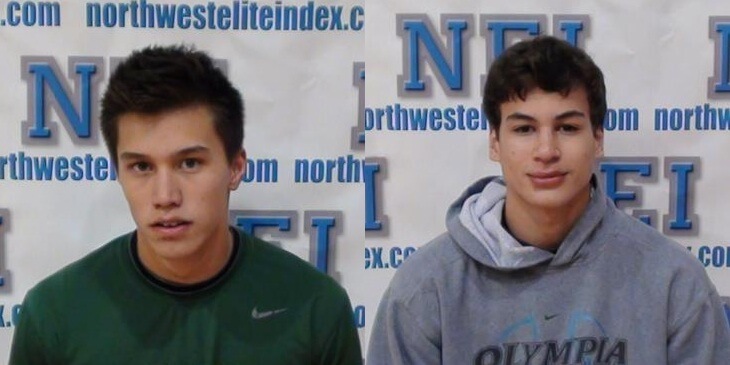 We are big advocates of both athletes, as they are outstanding kids first and foremost..Check the video interview from our elite event a few weeks back.